I am absolutely loving the new series of The Hairy Bikers, Mums Know Best!. 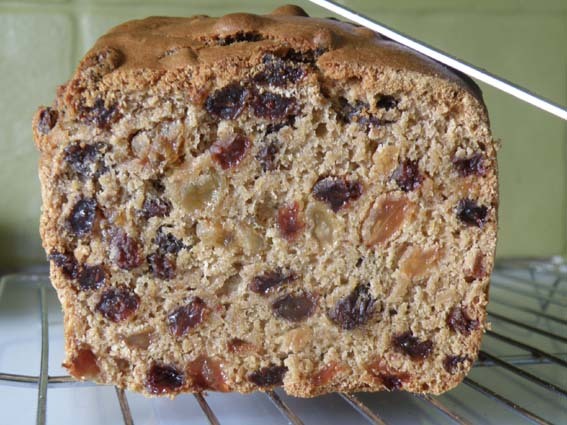 In a recent episode they visited the home of a Welsh mother called Mary who gave this recipe for Bara Brith. It uses no fat and since I would only have to replace one egg I figured it was definitly worth a try. I replaced the one egg with 1 tbsp of flax/linseed and 3 tbsp of warm water. The resulting Tea Bread was delicous, lovely juice fruit from having a good soakin’ in tea and a loaf that was delicous toasted and slathered in butter or jam. 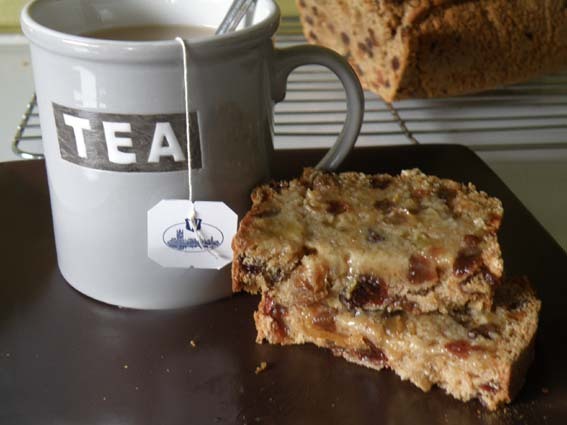 Serve with a nice cup of tea…. I’m enjoying watching that too, there are some great family recipes on there. 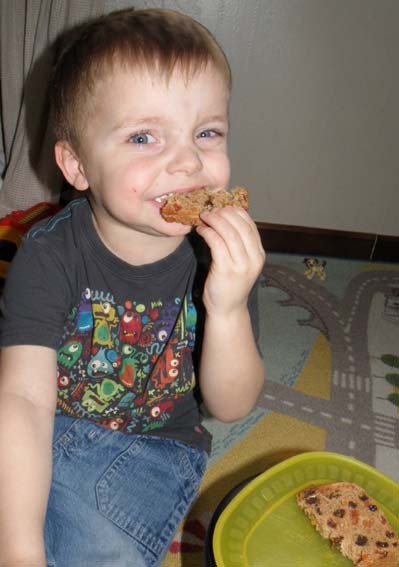 Your Bara Brith looks wonderful, stogged full of fruity deliciousness! Aww, your son is so cute – has really grown up! Thanks so much for stopping by and letting me know about your new blog–this will definitely be an excellent resource for us! That Tea Loaf looks delicious 🙂 Oh, and the gingerbread men were an instant hit with my daughter, we’re already on to our second batch! I’m so pleased! 🙂 The dough lasts a while in the fridge and I’ve frozen it before too. Glad you like!